WWW, March 2009 - Everybody knows the photo's and video's where Donald Rumsfeld shook hands with Saddam Hussein. Pretty soon, everyone will see the photo's of one of Obama's main advisors having a chat with another well known figure: Osama Bin Laden. In the Game of Global Engineering, there are many players and they all know each other as they play their wicked games of chess at the costs of the people of the world and indeed, at the cost of creation as a whole. It's a "Grand Chessboard", according to one of Barack Obama's top advisors, a man with the difficult name Zbignew Brzezinski. After all, that is the title of one of his books. 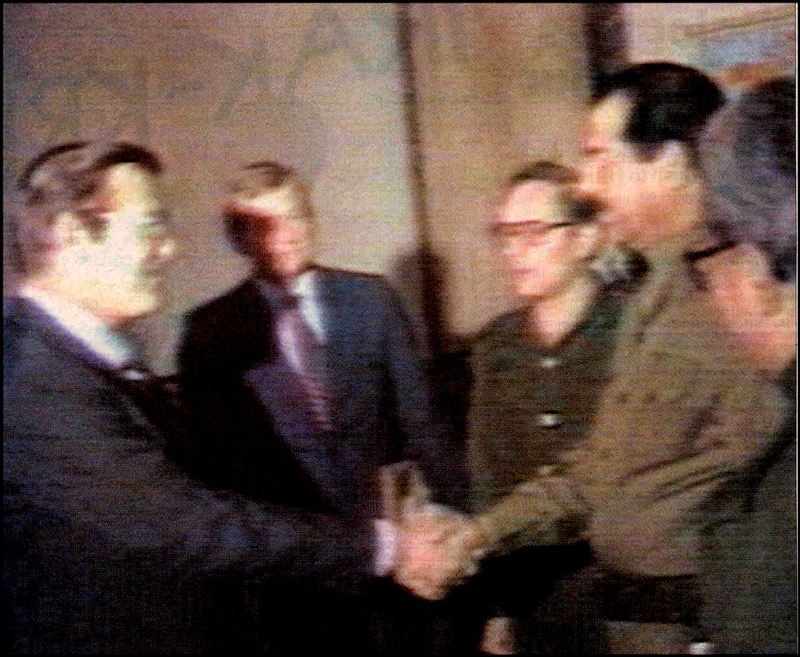 In the 1970's, Brzezinski was the top advisor for then president Jimmy Carter. He is sometimes called "the other Henry Kissinger", and like ole Henry, Zbignew surely has some things on his CV that he doesn't want everyone to know as well. In many ways, you could look at him as the founder of what is currently known as the Taliban or even Al Qaeda. Sure, there really is no such thing as Al Qaeda, but there is such a thing as Muslim fundamentalists in Afghanistan and we are led to believe that these are the archenemies of "freedom and democracy". We are also led to believe that the chief terrorist of the world is the leader of this Al Qaeda organization, a man called Osama Bin Laden. He is said to be responsible for just about every terrorist act in the world, and subsequently he's seen as the most wanted man on earth. 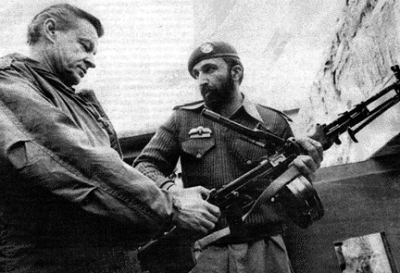 Brzezinski can be seen here as he is having a chat with what is now seen as the world's most wanted man. The man who is now one of Obama's top advisors was the man who founded what now is the Taliban and Al Qaeda: the Muslim fundamentalists in Afghanistan that this very same Obama wants to vehemently bomb. It's a "Grand Chess Board" indeed. Brzezinski did not only write a book with that title, he is one of the players of this game, a game that has the deaths of countless of innocent men women and children as a result. Being one of the top advisors for the president that so many seem to looking at as the Messiah who will take the USA and indeed the world out of the wars, in reality he is proof of the fact that president Obama is not what many think he is.